Notice how I didn’t call this post New Year’s Resolutions? I hate resolutions. So permanent. So scary. If I haven’t made the change already, the chance that it’s going to happen just because there’s a new number on my calendar is pretty slim. Besides, my New Year’s resolution always has to do with losing weight. This could be due to the barrage of Weight Watchers commercials and news pieces about dieting or fitness that tend to gather like media storm clouds at the beginning of each year. Moreover, the weight loss resolution takes me right out of the positive, hopeful attitude that accompanies the new year. I’m constantly focused on my flaws, on what I don’t have, on what I’m not. So this time, I’m setting “goals.” Much less intimidating. A goal is something to aspire to, not to fear. And since I’m solidly a millenial with a millennial’s attitude, if I don’t achieve my goals, at least I tried. I’ll still get that little trophy at the end of the little league season whether I got a hit or not. Right? This is not to say that I’m going into 2015 with a laissez-faire attitude. I usually get it done when it comes to my goals. I’m the lady who gave birth to her first child and went to graduate class a week later so she wouldn’t be deterred from finishing her second Masters. (Confession: I also did this to scare impress the professor into putting in a good word for me at her school district.) Yes, I’m that person. 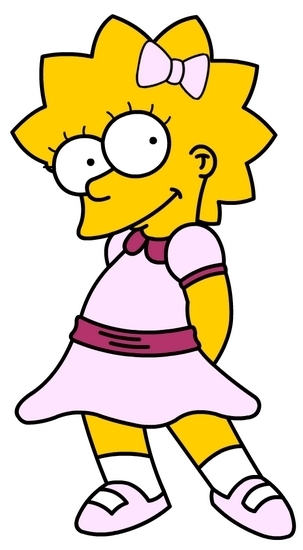 I’m a Lisa Simpson. With an eye toward achieving these goals, I thought I’d make them public. They are all about self-betterment and therefore have a New Year’s resolution “feel.” But they are about focusing on adding to my life and being thankful for what I have and how God has blessed me so abundantly. 1. Drink the recommended 8 glasses of water per day. This lady drank a gallon of water everyday for four weeks and look at the difference in her face. I even bought a snazzy pink bottle that holds all eight glasses. I enjoy that it makes me look a little intimidating when I bring it everywhere because I’m all about the branding of my mommyness. Whoa, that lady is such a supermom she gets dehydrated from it. 2. Take real estate apps off my mobile devices & disallow notifications from all social media on my phone. The only notifications I get on my iPhone now are texts or calendar alerts or actual phone calls (<–what a notion!). I took Zillow and Trulia off because we are not shopping for a house until next year at the earliest. Looking at homes just makes me think of something I don’t own: a home. I should be focusing on the beautiful, spacious place we rent, incredible elementary school across the street, and fabulous neighbors like the Sipping Sisters. And as for the social media app notifications, I wish had the fortitude to do away with all of it but I don’t. And I won’t cause I like fotchbook and twitterest. But really? Do I need my phone to have a banner come up every time someone repins my pin about crockpot recipes? No. I’m busy trying to finish this enormous jug of water. 3. Take more iTunes U courses. I think I can replace listening to the same Taylor Swift or Pitbull songs over and over with listening to some podcasts in the car. And while I’m getting ready in the morning or doing dishes, I could be learning something. The course I started on the History of the New Testament is given by a Yale professor and it’s free! When I listen to him talk about Peters travels in Acts or the Gospel of Mark, I feel like my brain isn’t melting from laundry and child rearing anymore. 4. Practice yoga everyday. Even if it’s just for 5-10 minutes, even if it’s a few sun salutations and that’s it, I think this could be one of the more important parts of my day. I started this practice a few weeks before the holidays, skipping only a day or two. My back already feels stronger and I think I’m sleeping better. However, now with the 8 glasses of water, I’ll be getting up a lot more to use the bathroom. Rats! Foiled again! 5. 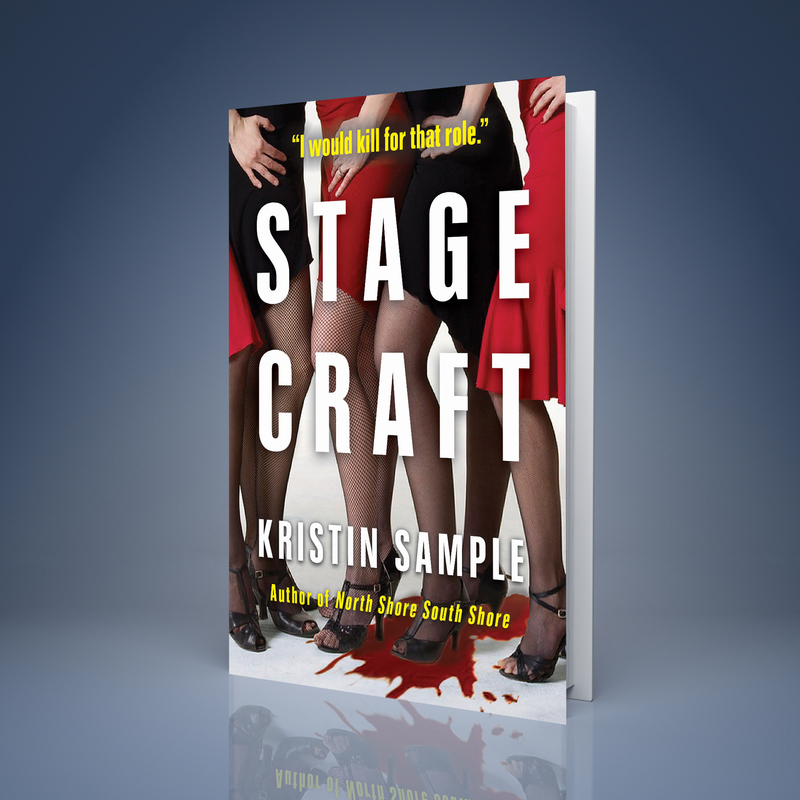 Finish my novel Stagecraft. I told my agent it would be done by the time Darcy was born. Yeah, Darcy turns one next week. I better get on this. 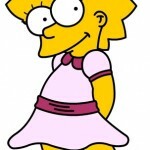 Where’s my Lisa Simpson hat?! There is some editorial interest in the novel so I owe it to myself to finish the book and see where it goes. If you’re on facebook, like the novel’s page and follow my painstaking process. Okay, that’s it. I’ll post an update in a few weeks. I promise to be honest about my progress.